A well-illustrated guide to the prehistoric cultures of Utah, Colorado, Arizona, and New Mexico. It lists ruins, rock art sites, and museums containing artifacts. The people of the Plateau belong to separate tribes, speak different languages, and practice their own customs. Yet they are all linked by points of commonality, shared beliefs that wed them to one another in important ways. With beautiful photographs, this magazine-style book captures the spirit of the ancient plateau inhabitants and the three traditions of Havasupai, Hopi, and Navajo. 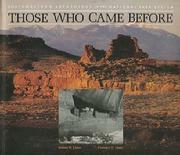 A nice booklet with the latest information about the prehistoric people of the Colorado Plateau. Very interesting with nice full color photographs and illustrations. Includes descriptions of the Clovis people, the Folsom people, the Plano Culture, and the Pleistocene Big-Game Hunters. 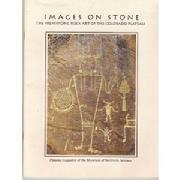 The subject of this issue of Plateau is the prehistoric rock art of the Colorado Plateau. Chapters include the distinction between petroglyphs and pictographs, an analysis of the various rock art styles and techniques, how the rock art is dated, and a list of rock art sites on the Colorado Plateau. Many nice photographs in full color. 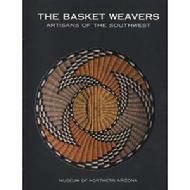 This issue reviews basketry among native populations of the Southwest. Construction, design, function, and symbolism are discussed as the art of basket weaving changes throughout time and struggles to survive. Photos show the creativity, variety, and richness of this craft art. The Grand Canyon�s isolation, great elevational range, and position at the convergence of three North American deserts � the Mojave, Sonoran, and the Great Basin � have created unique habitats for an unusual assemblage of plants. Some grow at seeps and springs, others emerge from cracks in the bedrock, and still others inhabit sandbars within reach of the Colorado River�s scouring currents. This book is the first comprehensive field guide devoted to the plants that live below the canyon rims, describes more than 300 plan species, including ferns, grasses, forbs, shrubs, and trees. Detailed presentation of the colorful wildflowers that decorate the landscape of northern Arizona during spring time. This attractive publication includes color photos and descriptive texts of the most commonly seen plants in the Lake Mead region. Divided into sections according to flower color. An easy reference for 100 wildflowers typical of the Arizona and New Mexico regions. Categorized by color, each flower is described and interesting facts are given. A pocket-size manual for identifying trees of the southwest deserts (cactus, etc.) This book guides you through a step-by-step process of elimination until you correctly identify common desert trees. Tree identification is really easy and fun! Illustrated. Non-technical language. Cacti are some of the most dramatic flora of the Southwest. Get acquainted with the Saguaro, the Hedgehog, and the Queen of the Night. Crisp, full-color photographs accompany each description. This handy guide is complete with glossary and indexing by common and Latin name. 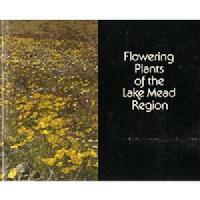 This booklet describes wildflowers found between 4500-7500 feet in the Southwest. Good description and color photo of each species. It is the purpose of this booklet to discuss accurately the various poisonous dwellers of the desert, as well as to debunk some of the superstitions and misunderstandings which have developed. A final chapter deals with harmless creatures that are often believed to be poisonous. Did you know that a snake breathes only through their skin? In this guide, you�ll meet these and more fascinating snakes, lizards, toads, frogs, and turtles. An interesting and informative booklet on the various reptiles of the Lake Mead area. Each species of snake, lizard and turtle is described. Over 40 color photographs. Attractive format. Habits of more than 30 birds and mammals and an equal number of plants are briefly and imaginatively described. University of Arizona The Southwest is inhabited by more kind of creatures than road runners, gila monsters, and tarantulas. Mammals make their home here as well, and this handy guide helps you identify them. Birding is one of the most popular and fastest growing outdoor recreational activities in the United states and the Southwest, with its varietal habitats, boasts a number of species. The dramatic photographs and description in this book will help you jump on the birding bandwagon and add the curve-billed thrasher, the cactus wren, a Gila woodpecker, and 47 others to your checklist. In recent decades, scientists have come to recognize that the raptors (birds of prey), from their position at the top of the food web, provide us with commanding view of the overall health of the ecosystem they occupy. Birds of prey play a critical role because they serve as barometers of ecological health and change on the Colorado Plateau. 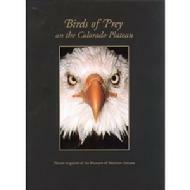 Read this book to learn about the relationships among raptors, the various birds of prey on the Colorado Plateau, how they adapt to changing conditions, etc. This issue of Plateau pertains to designated wilderness. There is a discussion of the Wilderness Act, a description of areas set aside as wilderness, proposed wilderness areas, and the future of wildlands on the Colorado Plateau. Good reading for anyone interested in the wilderness issues of today. 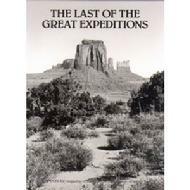 This is the story of the Rainbow Bridge / Monument Valley Scientific Expedition of 1933- 38. Historic photographs document the difficulty and adventure encountered by the anthropologists, geologists, and biologists who ventured into this harsh land. They added to our store of knowledge about man, his history, and his environment. 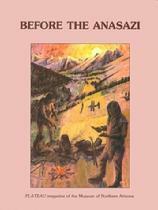 A warm, sensitive, informative, and delightful journey to the land of the Navajo through the art of storytelling. The author recounts the myths, legends, and beliefs of the Navajo people and leads us to know the importance of such tradition in sustaining the people though times of change. The stories tie the people to their land. Terry shows us how we can find our own history, our own traditions, our sense of how to live well. Recipient of many literary awards, including best non-fiction, American Southwest Literature, 1986. Evokes the beauty and the mystery of the Four Corners desert canyons, home to Navajo and to the Anasazi, who came before, and spiritual homeland to the Coyote Clan, thousands of individuals who draw nourishment from this land. �This is an intimate meditation on one of the Earth�s most extraordinary landscapes, and it is one of the most beautiful books we�ve ever published,� says Gibbs Smith.Acid-free paper. Ruess was a young poet and artist who disappeared into the desert of southern Utah in 1934. He has become widely known posthumously as the spokesman for the spirit of the high desert. Those who knew him (including photographers Ansel Adams, Edward Weston, and Dorothea Lange) and those who know his writings have been inspired by Ruess� intense search for adventure and beauty. The first paperback publication of this classic account of the aesthetic qualities of the desert environment of the southwestern United States. First published in 1901, the book has been widely acclaimed by Lawrence Clark Powell, Joseph Krutch, and other noted writers on the beauties of the desert as the first and best of the American desert appreciations. Written for young readers to help them understand and appreciate the desert, Olin�s book is very informative as he instructs the reader about what a desert is, plant and animal life it contains, and fragile biological inter-relationships it sustains. The spectacular landscape of the Southwest has long influenced the gorgeous weavings of the Navajo people who lived there. 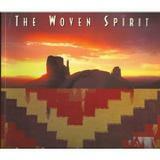 With stunning, full-color images and a vivid text interspersed with Native American legends, �the Woven Spirit of the Southwest reveals how the ancient weaving traditions have evolved through time to create beautiful, invaluable, and enduring works of art. Today, many of us seek a connection with Nature that is meaningful and comforting. 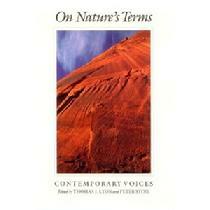 In this book, some of the most observant American naturalists of our day explore the world of Nature in powerful essays that show the vitality and range of contemporary nature writing. 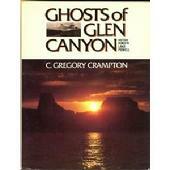 �Better than memories, perhaps, and not so heartbreaking, we have the historic record, here compiled by C. Gregory Crampton, of what was lost when we allowed the flooding of Glen Canyon. It was vitally important that such a record be made, not merely for the sake of our curiosity about the past, but for the sake of our conduct in the future� Edward Abbey. 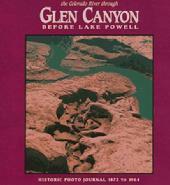 Already considered a �rare-book� because of the limited number of copies printed, the beautiful format, and the quality paper and printing, this nostalgic publication is an extraordinary visual history of Glen Canyon. There is a modern-day map of Lake Powell with buoy markers that identify the place where each photograph was taken, allowing the reader to compare today�s lake with history�s canyon. For long-time river guide, Amil Quayle, Pebble Creek is a retreat outpost, and observation center from which he conducts his field studies. Poised on the edge of things, he looks many ways, downward to the ravaged city below, around him at nature in its precarious condition, backward in time to family and ancestors, and into his own soul. The Hohokam, Mogollon, Anasazi, and other peoples left no written history, but their dwellings and artifacts came to form a rich archaeological treasure that has been preserved at placed like Casa Grande, Mesa Verde, and Chaco Canyon. Robert and Florence Lister here tell the story of these people lost to time, and of ruins that time could not easily destroy. Graced by the photography of David Meunch and George Grand, Those Who Came Before is your guide to a rich legacy. Hard cover. 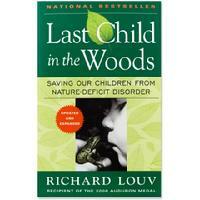 In his landmark work Last Child in the Woods, Richard Louv brought together cutting-edge studies that pointed to direct exposure to nature as essential for a child�s healthy physical and emotional development. Now this new edition updates the growing body of evidence linking the lack of nature in children�s lives and the rise in obesity, attention disorders, and depression. Louv�s message has galvanized an international back-to-nature campaign. His book will change the way you think about our future and the future of our children. This handbook can assist anyone � trip leader or professional � who safe-guards others in the outdoors. All aspects of search and rescue are covered, from knowing how to save your own party to planning a multi-day search, from deploying rescue systems to coping with paperwork and public relations. The techniques and system of skills presented can be combined for rescue in any terrain. Hard cover. This updated and expanded edition is an indispensable aid for anyone who spends time on the river � instructors, recreational paddlers, outfitters, and rescue professionals. 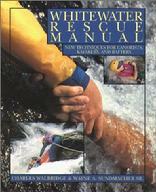 With clear, concise instructions and high-quality drawings and photographs, the authors cover every aspect of whitewater rescue including organization, leadership, equipment, technique, patient care and evacuation, as well as trip planning, reading the river, and self-rescue. 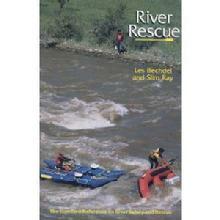 �River Rescue is a comprehensive manual on how to avoid accidents on the river and what to do when they happen. Anyone whose public safety duties include river, flood, or swiftwater rescues will find this densely illustrated, fact-filled book to be of tremendous value. It is written to save lives � yours and your teammates as well as those of the people you rescue. 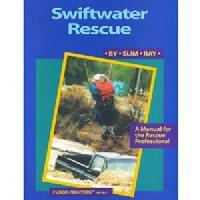 Swiftwater rescue is one of the most dangerous types of technical rescue � this book shows you how to stay alive and succeed. by Charles Walbridge & Wayne A. Sundmacher Sr. These long-time paddlers present a tightly focused look at the best, most current techniques for both self-rescue and rescue of others on the river. This well-illustrated guide provides reasoned guidance during important decision making and rescue situations in an informative and entertaining way. The material is detailed, complete, and �as close to real-life-safety as you can get without getting wet.� Many photos and illustrations demonstrate the safe and effective techniques. As the popularity of whitewater sports increases, this book has become essential reading. Outdoor Survival Skills has taught three generations of wilderness adventurers how to survive in nature without expensive purchased equipment, instead drawing on a knowledge of the land and carefully tested techniques, many of them ancient, for finding or creating shelter, fire, tools, water, and plant and animal foods. In this new edition, anecdotes from the author�s lifetime of experience provide thrilling examples of the skills and attitudes that ensure survival outdoors. Larry Dean Olsen wrote the outdoor survival merit badge requirements for the Boy Scouts of America and was technical advisor for the film �Jeremiah Johnson.� His award- winning courses in primitive living have been sponsored by institutions in the United States and Canada. Complete visitor and camping information on America�s 358 national park areas; where to stay, what to see and do; weather and climate information; disability access. This guide provides all visitors with the necessary information to better enjoy their park experience.